How's your income? That's the first question a lender is going to ask when you apply for a home loan. And, at some point during the application process, the lender will likely use your tax returns to validate your answer. Here is how your tax returns may play a role in your ability to obtain a mortgage. What Do Lenders Need to See? If you're a full-time, salaried employee, paystubs and a W-2 will likely be sufficient for verifying income, even if some of it comes through bonuses or commission. However, you may have income from other sources in addition to your full-time gig, or maybe you own an investment property as well. Mortgage companies may require you to provide tax validations prior to closing. Automated underwriting by Fannie Mae and Freddie Mac tells the lender what specific documentation will be needed. In many cases, borrowers are asked to provide two years of 1040s and to fill out a document called a 4506-T. This document authorizes the lender to obtain copies of your tax transcripts for the past two years. In my experience as a loan officer, there are a couple of common situations where you'll need a tax validation in order to complete the mortgage process. Here they are. Lenders may be required to obtain a two-year history of prior earnings to verify the income of self-employed borrowers, according to Fannie Mae. To use your most recent year's income, you will need to have your most recent tax return filed and processed by the Internal Revenue Service. Put another way, the tax return must be validated and processed with IRS so a transcript is obtainable, not simply "filed." You will not be able to sign final loan documents until your lender has this transcript in hand. A tax return filed with IRS for the most recent year that is not actually processed could delay your financial plans. Tax returns (and not simply a new rental agreement) are generally used to verify that you own a rental property that generates positive net income. Lenders have a formula they use to factor out expenses for a property that is owned free and clear of any debt. If the property is indebted with a mortgage of some kind, the net numbers tend to be lower as the revenue goes to paying maintenance costs before net income is considered. Refinancing a rental property may help as the revenue generated can offset a lower fixed cost, resulting in a favorable debt ratio when qualifying. The IRS has been known within the mortgage industry for processing tax returns to taxpayers who are getting a refund faster than for taxpayers who owe. If you're thinking about buying a home or refinancing one you already own any time from January through April and you need previous income tax returns to qualify, you might want to do any one of the following. Check with your tax professional to see if they can expedite the validation process for you. Visit an IRS office and ask if they can escalate the validation process. Get an extension on your contract if buying a home. Pay off debt to qualify if you have the financial means. 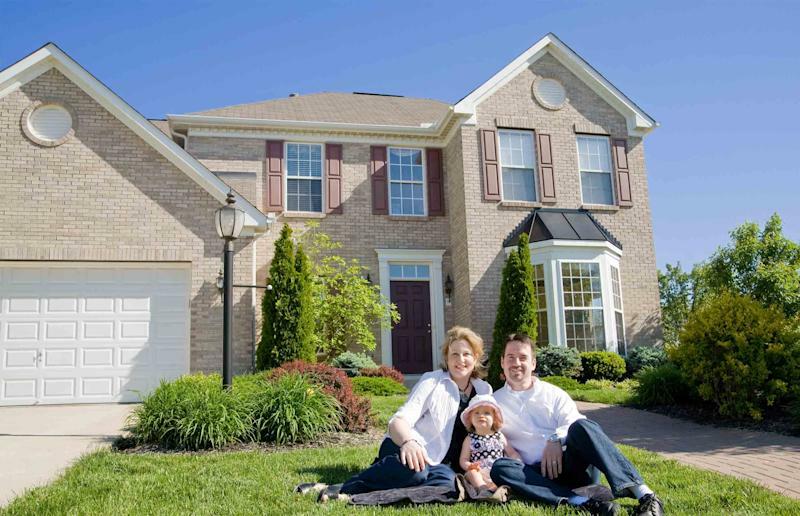 Refinance another home or credit obligation, lowering your debt load. If you are off to a slow start and file for an extension that pushes your filing date until October, fear not: a completed IRS extension form can be used to close on a mortgage transaction in lieu of the return. To avoid certain problems, you can do your research ahead of time and consider working with an experienced mortgage lender who can help you avoid snags. You also will want to check your credit before applying for a mortgage, since a good credit score generally entitles you to the best rates and terms. You can do so by viewing your credit reports for free each year at AnnualCreditReport.com and checking your credit scores for free each month on Credit.com.